I'm so excited to share one of my new favorite Etsy shops! 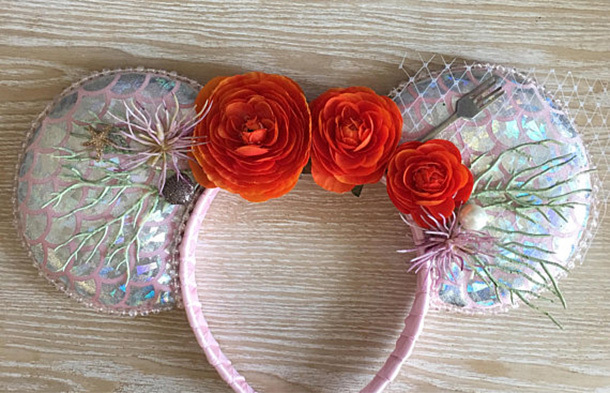 I've been pretty clear about how much I've gotten into Disney again ever since I got my Disneyland pass this past year, and I've been obsessively looking at ears on Etsy. One of the best shops I've found by far has been Posh Park Creative. Stephanie, the maker behind the store, creates such magical, intricate pieces that each feel special. Plus, she was kind enough to answer a few questions and offer a pair of her ears to one lucky winner. Get to know more about the shop and keep reading until the bottom to enter to win a pair of ears of your own! Q: How and when did you start your shop? A: I opened my shop in 2015, but didn’t really start selling merchandise until June of 2017. I thought about selling holiday wreaths, but I wasn’t totally passionate about it. Then one day a fellow Disneyland annual pass holder gave me an idea. Q: How did you learn how to create Disney ears? 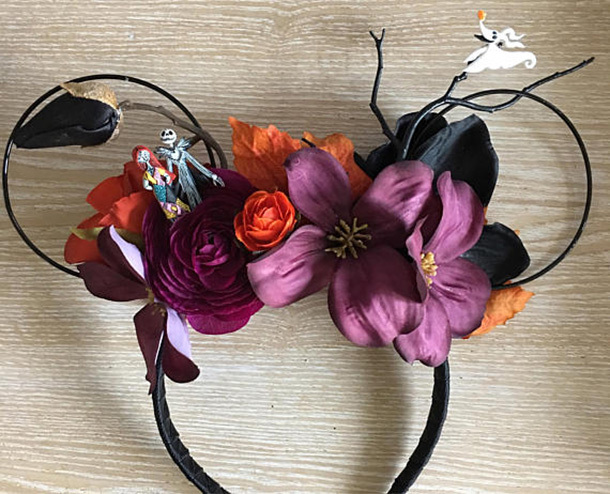 A: One day I saw a girl at Disneyland with a pair of autumn ears, kind of Dia de los Muertos-inspired ears. I went crazy looking for them and when I realized the parks don’t sell them, I decided to make my own. I didn’t know how but I bought a glue gun and went to town. Several burns later, I had a cute pair of ears! 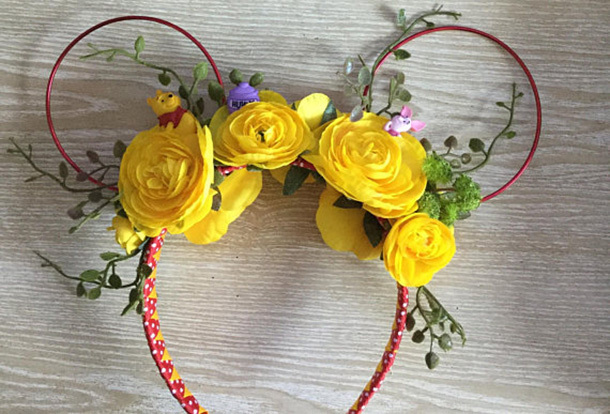 Q: What is it about handmade ears that you think attract Disney lovers over ears from the the parks? A: I think handmade ears are more specific to the characters we love. I really like some obscure characters like Brer Fox or Gus Gus from Cinderella. Try finding those in the Park! Q: How would you describe the Posh Park Creative customer? A: I think Posh Park Creative customers are looking for the same thing: specific characters, something a bit unique and very feminine. 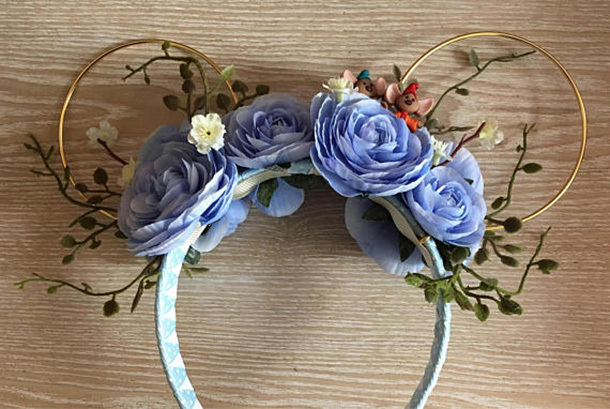 I can’t speak for all of my customers, but I feel like the flowers and the vines on the Aurora Ears for example, are very fairy tale-ish. Very Disney. Not so commercial. Q: Why do you think it's important for people to support small businesses such as yours? A: In such a fast-paced world like we live in, with a lot of devices we are constantly tuned into, it’s nice to pause and connect with our creative sides. That could be anything from creating something yourself, to crafting your own special style. Small businesses keep something special alive. Q: What is your favorite ride (or rides) at Disneyland? A: My favorite ride at Disneyland is Mr. Toad’s Wild Ride! Fantasyland is my favorite land, but it’s a close race with Haunted Mansion and New Orleans Square! Q: Do you have any favorite pieces in particular in your shop? A: My favorite piece in my shop is the Cinderella pair. It’s the first Disney movie I ever saw and fell in love with! 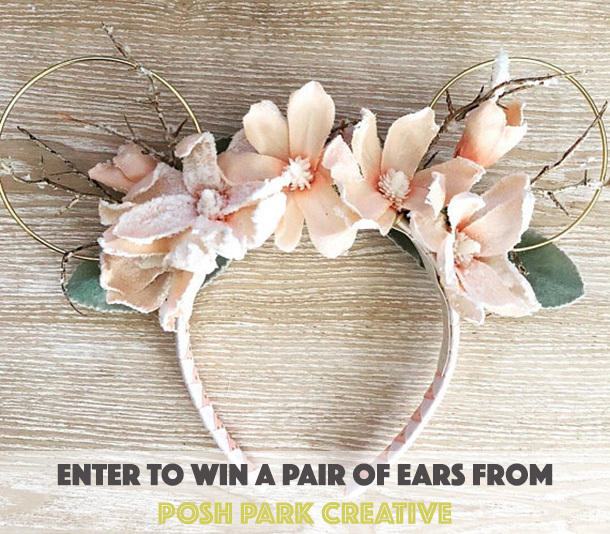 Enter through the Rafflecopter widget below for your chance to win your choice of ears from Posh Park Creative! Giveaway is open until midnight on 01/24. U.S. entries only. Good luck! It is a beautiful and very cute bow for women. This is so cool!!! I entered!! I absolutely adore the Jack and Sally Nightmare Before Christmas ears! 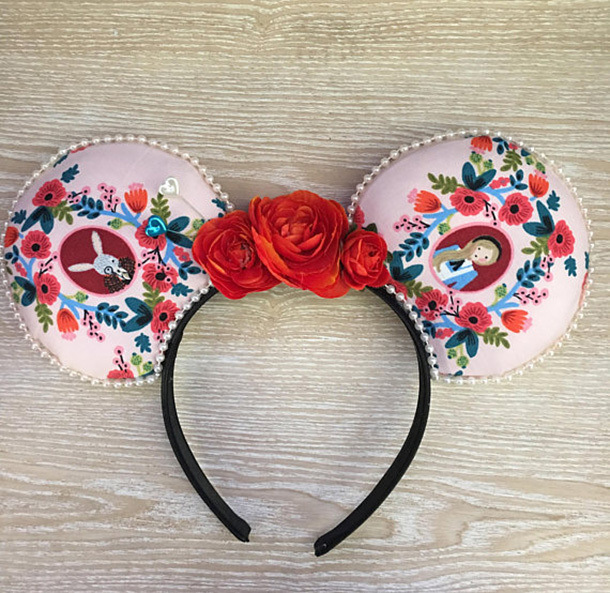 When my husband gets back from overseas (he's in the military) we're thinking of taking a trip to Disney and these would be so perfect to wear! I like you very beautiful decoration. 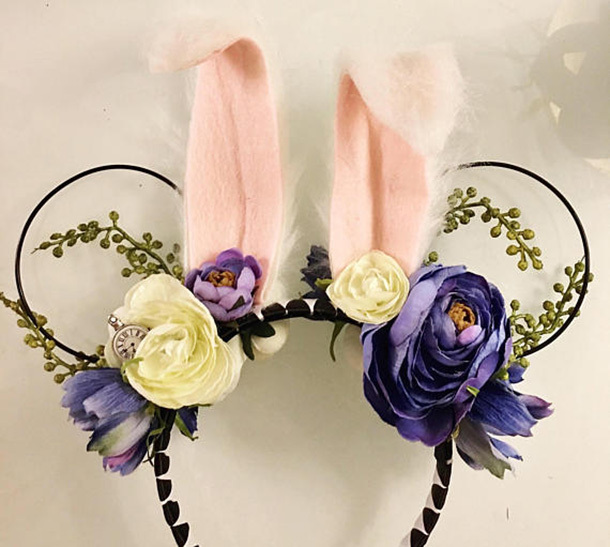 My favorites are the Sakura Japanese ears- I think my daughter would LOVE them! What a wonderful giveaway those ears are stunning! I love the haunted mansion ears. I would choose the Jack and Sally Ears, Nightmare Before Christmas Ears, Jack Skellington Mickey Ears, Halloween Ears!